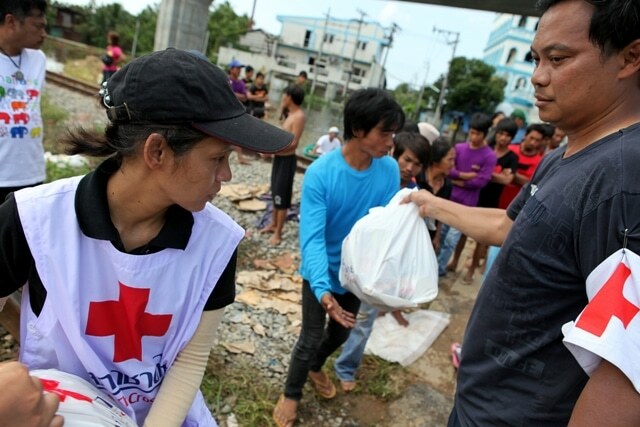 As well as preparing for, responding to and recovering from emergencies, we also support Red Cross and Red Crescent programmes around the world, helping communities tackle health, economic and social crises. Our neutral and impartial principles ensure we are never selective about who we provide aid to. We work in countries where other organisations cannot or will not work. Crisis takes many different forms, from a house fire that leaves a family on the street with nothing, a flood that devastates a whole community, to an accident that leaves a parent housebound and unable to care for their young children while they recover. 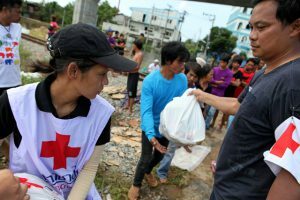 When crisis strikes, the Red Cross is there, providing unquestioning support to help people make it through their darkest hours. Our team of 30,000 volunteers across the UK regularly go the extra mile to help people in their hour of need. They provide practical and emotional support, specialist equipment and skills to help people recover and move on with their lives. Giveacar and its donors are proud supporters of British Red Cross as they work hard to help communities tackle health and social crisis. If you’re planning to scrap or sell your car, give a car instead to help families around the world. Your donation can ensure people receive skills and emotional support needed to improve their lives. Do a good deed and help British Red Cross when you donate your car to charity. I have recently given two vehicles away through Giveacar; one was our own whose proceeds went to a charity in Zambia and the other was my late sister's car from which we raised over £100 for Breast Cancer Now. On both occasions I found the system was simple and highly efficient and the staff all very friendly. From initial contact to having the vehicle taken away was easy and quick - less than a week for one of them! Highly recommended - getting rid of an old car, letting someone else do the work and donating to your chosen charity - what's not to like? !